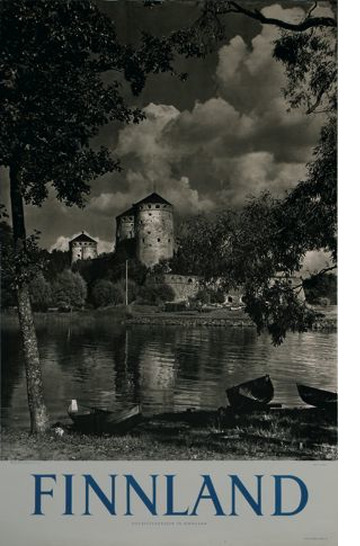 This is the castle of Olavinlinna in eastern Finland. Despite sterling contributions from the Finnish commercial graphic artists, there was still a force that grew ever stronger: photographs. Suddenly one could show things ‘exactly’ as they looked in reality! No exaggerations! No room for interpretation! This is what it actually looks like in Finland! 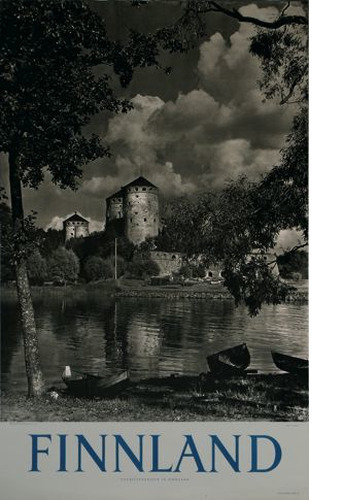 Many of the most talented contemporary photographers travelled around the country to capture Finland in photographs. The poster collectors and hunters of the world are convinced that early photo posters like this one soon will be sought after and admired.